The thing about thin veils is that, they do and do not work. Someone is duped, and someone sees through. 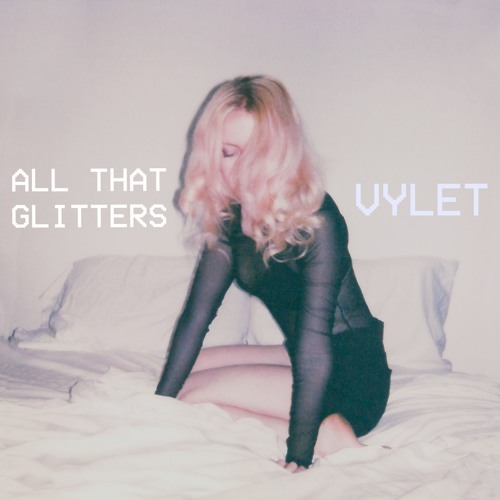 Such is the complexity of Vylet’s love life as described on “All That Glitters,” a vibrant and ominously peppy song that captures fading emotions and bittersweet realities. Atwood Magazine is proud to be premiering “All That Glitters,” the latest single from baroque bedroom pop artist Vylet. The easy-listening, genre-defying Los Angeles indie project continues her dreamily intimate journey on a song that captures both her personal world, as well as her surrounding environment: “Inspired by the high-low grimy glamour of Los Angeles, ‘All That Glitters’ is a sparkling, deceptively upbeat electro-pop song exploring the failing of ordinary perception to distinguish reality from artifice, and our tendency to view the outside world in extremes,” expresses Vylet. The artist’s most biting song to date finds her momentarily detached from what has so far been a brooding, profoundly personal journey of world-weary hearts, growing pains, and existential crises most of us dare not confront, let alone enshrine in song. Her debut single “Why” premiered nearly a year ago, a hypnotic and seductive introduction searching for deeper meaning in life. Sophomore single “Lightning” embraced companionate love, mixing uncertainty with trust, hope, and a swirl of mixed emotions. “All That Glitters” is a little more global in its reach, a viciously intense mix of reflection and action that put us behind the wheel of Vylet’s complex emotional reality. The poetic romance of Lorde and the California melancholy of Lana Del Rey form a tight bond in Vylet’s performance: The artist has locked down a special sound that is quintessentially hers alone, and with “All That Glitters,” Vylet once again asserts the uniqueness of her artistry. With her relationship fading from view, at least one part of Vylet’s life is glittering.